The Divine Taste of A Light Roast - Mellow and smooth, masterfully roasted. 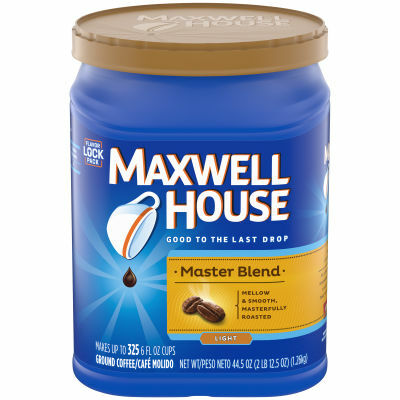 The Maxwell House House Blend is specially formulated for easy-going mornings. It's gentle on the palette but well flavored for those that enjoy a lighter coffee roast. - A Delectable Way to Start the Day - This is 100% pure coffee and like all Maxwell House blends, it's good to the last drop. Enjoy it from the comfort of your own home in this economy-size canister.